Southeast Asia is one of the most exciting regions, but there are many common misconceptions about this part of the world. 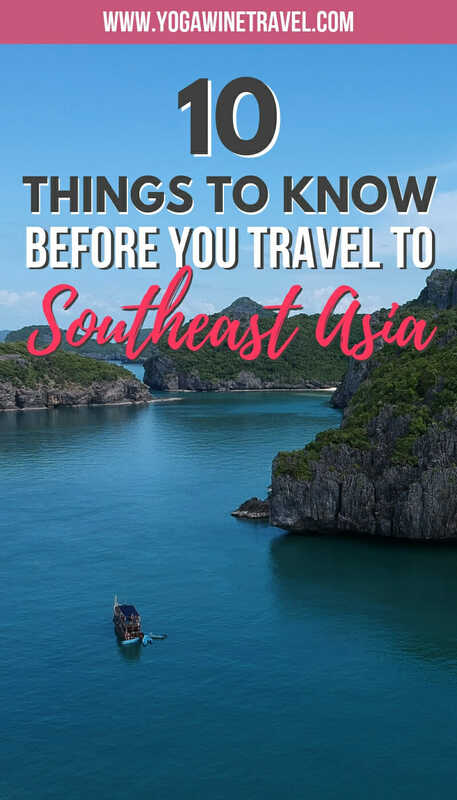 Read this before you travel to Southeast Asia! Southeast Asia is an incredible region with rich culture, the tastiest food and amazing heritage sites. Because of its proximity to Hong Kong, my home, I’ve been fortunate enough to hop over to several member states to discover what they have to offer. Some of the countries in Southeast Asia are my all-time favorite travel destinations, from the sprawling city of Angkor in Siem Reap and towering “Supertrees” in Singapore to the turquoise waterfalls in Laos, the region has something to offer every kind of traveler. Recently, I attended the ASEAN Tourism Forum (ATF) in Vietnam, an annual event involving all the tourism industry sectors of the 10 member states of ASEAN: Brunei, Cambodia, Indonesia, Laos, Malaysia, Myanmar, the Philippines, Singapore, Thailand and Vietnam. ASEAN, or the Association of Southeast Asian Nations, is an organisation that aims to accelerate economic growth, social progress, and cultural development in the region. As a member of media, I was able to attend ATF and gain valuable insight into what ASEAN and its member countries has in store for the upcoming years, relay concerns to them about issues such as overtourism, and to learn about their initiatives when it comes to promoting sustainable tourism in the region. So, where exactly is Southeast Asia and what countries does it include? The region stretches between the Indian Ocean and the Pacific Ocean and consists of the member names of ASEAN mentioned above, plus East Timor. 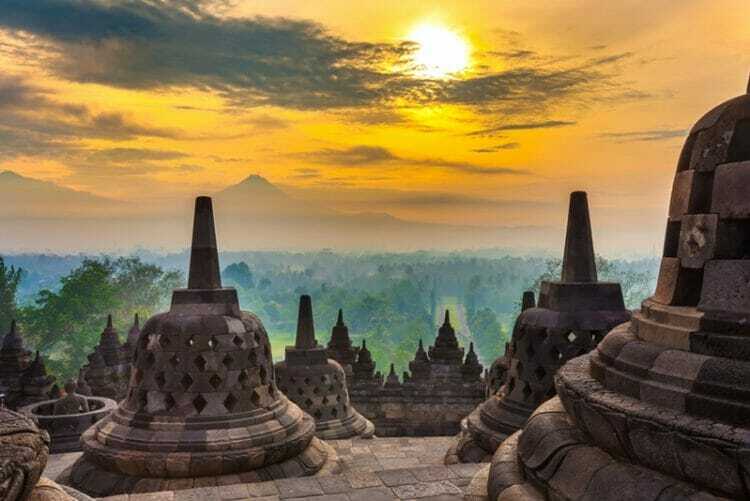 Southeast Asia is one of the world’s most popular tourist destinations and is extremely accessible from not only Asia, but also Europe, Oceania and North America. It’s no surprise that tourism to ASEAN member nations continues to grow year-on-year: according to a joint media statement from the ASEAN Tourism Ministers, 129 million tourists (international and intra-ASEAN visitors) visited ASEAN in 2018, an increase of 7.6% from 2017, and most of the member countries have ambitious targets to further grow tourism arrival numbers in 2019. That being said, the Southeast Asian countries also have some tangible plans to manage the very real issue of overtourism and showcase secondary and tertiary destinations to travelers visiting the region. 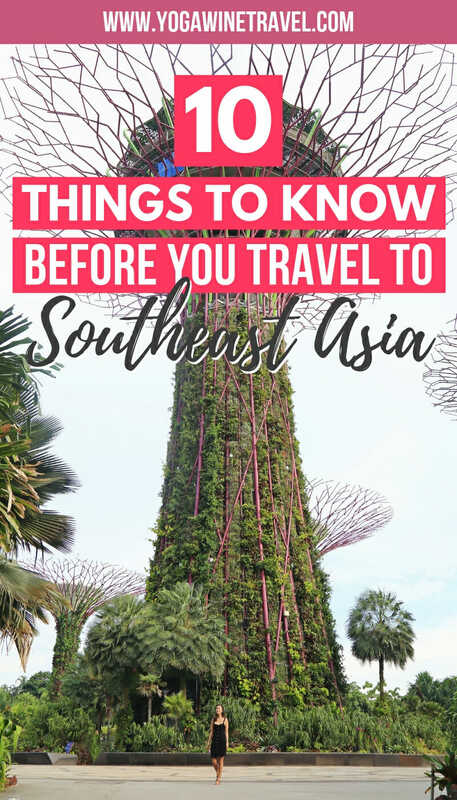 Read on for the inside scoop on where to go in Southeast Asia in 2019, travel tips for Southeast Asia and what you need to know before you travel to the region! One of the reasons why Southeast Asia is so popular for travelers from around the world is ease-of-travel. A 2015 report from the UNWTO rates Southeast Asia as one of the highest for visa openness. 22% of the world population is able to enter the region without a visa while another 33% obtains a visa on arrival. Only 34% of the world population needs a traditional visa to enter Southeast Asia. This is only slated to improve further as the ASEAN member nations continue to make progress on the “ASEAN Common Visa” initiative, a Schengen-style visa scheme designed to streamline the Southeast Asian travel experience. However, progress has been slow as the discussions are not limited to the tourism authorities, but also involves various countries’ Ministries of Foreign Affairs, immigration bureaus and national security offices. Various countries including Vietnam have also recently launched e-visa systems to make it easier for people to apply for visas in advance of their trip. The majority of Southeast Asian countries have a lenient visa policy, but at this time you will need to abide by each country’s own policy. One of the most important Southeast Asia travel tips is to make sure you research the visa requirements for each country and ensure that you have 6 months’ validity left on your passport! Brunei tourist visa policy: Brunei allows certain countries to visit without obtaining a visa for a maximum stay of 90, 30 or 14 days. Travelers can check if they require a visa prior to entering Brunei here, which also lists the visa fee and processing period according to a specific country. Cambodia tourist visa policy: Visitors to Cambodia can obtain a visa on arrival for tourism for a maximum stay of 30 days. You can also apply for a Cambodia e-visa in advance online. Indonesia tourist visa policy: Visitors from more than 140 countries can visit Indonesia without a visa for 30 days. Laos tourist visa policy: All visitors entering Laos must possess valid passports and visitors from non-ASEAN countries require a Visa. Visas can also be obtained on arrival at international border checkpoints. The visa fee for a 30-day tourist visa varies from between US$20- 45 depending on the agreement with the various governments. More information on the visa-on-arrival program in Laos here. Malaysia tourist visa policy: Malaysia allows many countries to visit without a visa for a maximum stay of 90, 30 or 14 days. Myanmar tourist visa policy: The majority of non-ASEAN visitors must apply for an e-visa in advance and can stay in the country for 28 days. A visa-free relaxation scheme was recently extended to visitors from Japan, South Korea, Macau, Hong Kong, while Visa-on-Arrival was granted to Chinese and Indian citizens. Philippines tourist visa policy: The majority of non-ASEAN visitors can stay in the country for 21 days without a visa. Singapore tourist visa policy: Most visitors to Singapore do not require a visa for entry. For more information on visa requirements and the Visa Free Transit Facility, you can check with the Immigration & Checkpoints Authority. 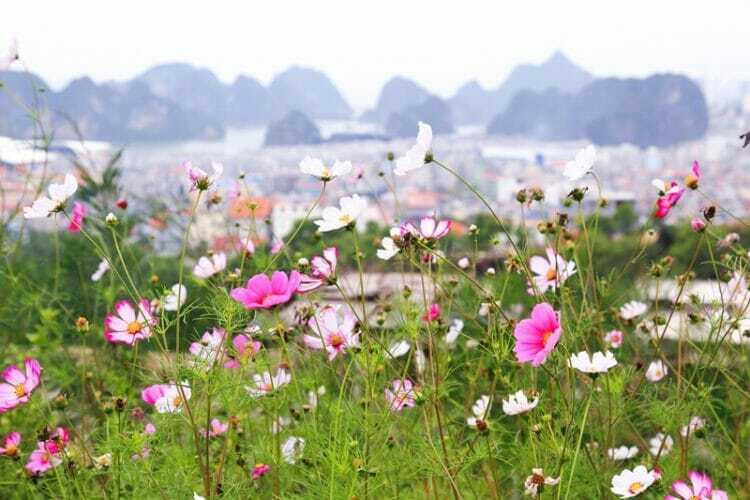 Vietnam tourist visa policy: Vietnam offers visa exemptions to travellers from 24 countries, and e-visas to travellers from 46 countries. Travelers can also easily apply for a visa on arrival. There are many, many, many fake Vietnam e-visa websites – the official one is located here. Southeast Asia is one of the easiest places in the world for multi-country travel by air, rail, cruise or bus. 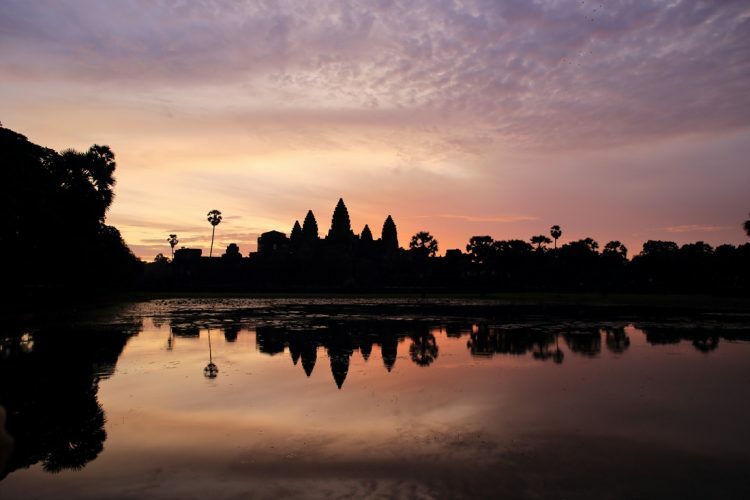 If you have a few weeks, why not hop between Thailand, Cambodia, Vietnam and Laos? 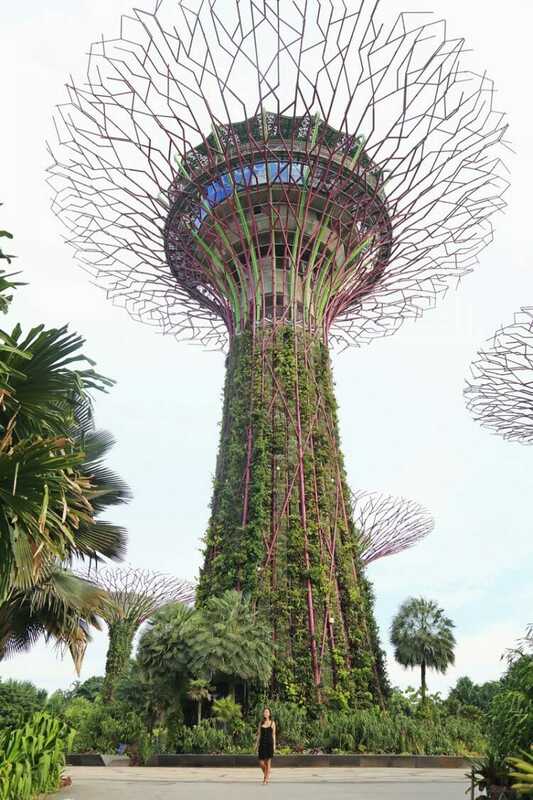 Visiting Singapore? Consider hopping over to Malaysia. 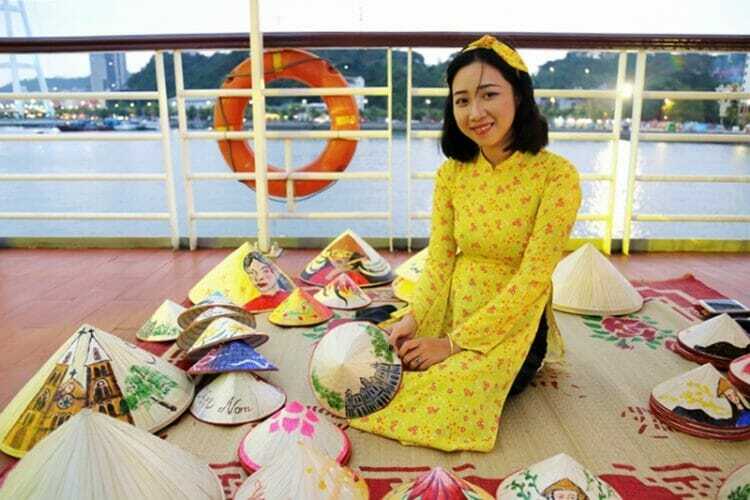 Companies like Heritage Line offer multi-day cruises through the Mekong, the longest river in Southeast Asia, or check out AirAsia’s Asean Pass which allows guests to lock down low base fares with credit, and redeem flights with the credit to travel across 10 ASEAN countries. The world’s your oyster – get creative with your Southeast Asia route! The vast majority of international visitors to Southeast Asia tend to visit a handful of obvious countries first. But there is more to Thailand than Bangkok, Chiang Mai and Phuket, more to Indonesia than Bali, and more to Cambodia than Siem Reap. Many of the Southeast Asian member nations (Thailand, the Philippines and Indonesia in particular) are cognizant of the problems with overtourism and the negative impacts of concentrated mass tourism to a handful of primary destinations. 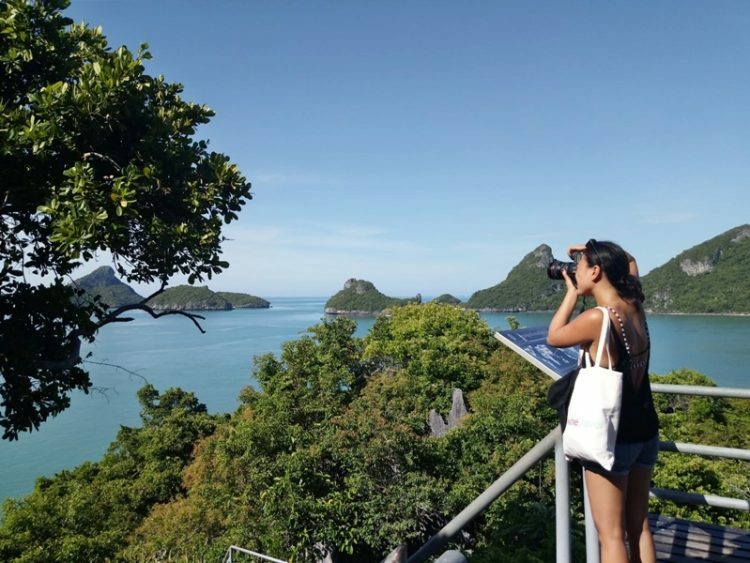 For that reason, many Southeast Asian countries are putting a heavy emphasis on sustainable tourism and heritage preservation in the coming years. 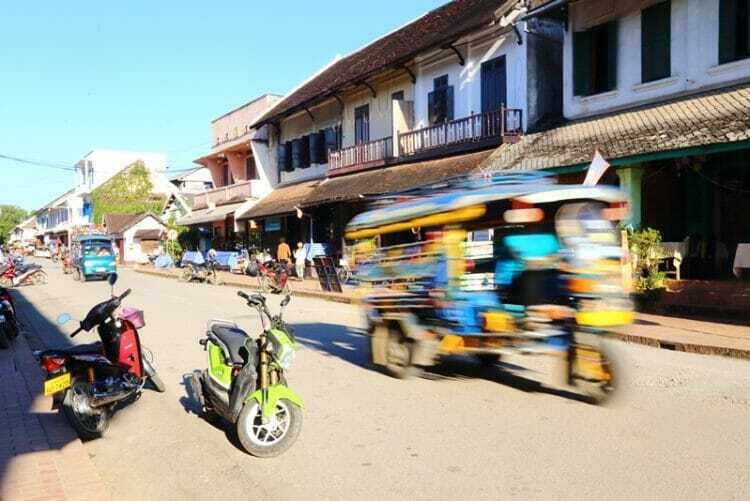 For example, Thailand is promoting 55 secondary destinations including places like Nong Khai, Udon Thani, Chiang Rai and Mae Hong Son to balance income disparity and encourage travel during weekdays and outside peak seasons. 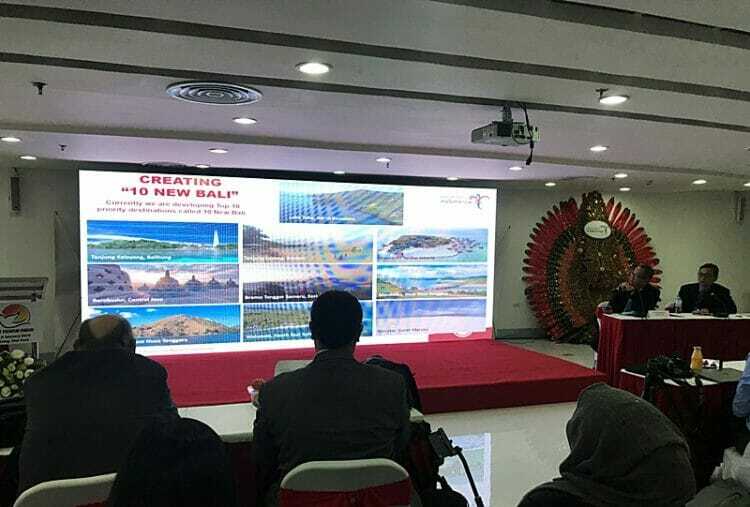 Indonesia is also introducing “10 New Balis” including Lake Toba, Borobudur, Bromo and Labuan Bajo to balance the tourism strain across the country. The Philippines also recently re-opened Boracay and studied its carrying capacity – visitors to Boracay will be capped at approximately 6,000 per day, and you will need to show that you have confirmed accommodation bookings before you go. Here’s the major takeaway: if you’re open to it, you can easily find new perspectives in existing tourist attractions and discover new experiences in new attractions in Southeast Asia. Wondering where to go in Southeast Asia? Don’t get lured into only visiting the obvious places, and don’t rule out traveling to Southeast Asia during off-peak and shoulder seasons. 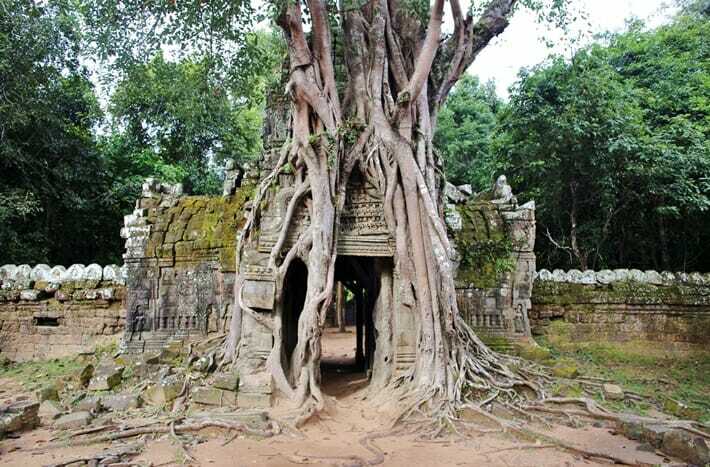 Check out some of these lesser-known and crowd-free temples in Siem Reap. Traveling to Bangkok? Head to Ayutthaya. Visiting Chiang Mai? 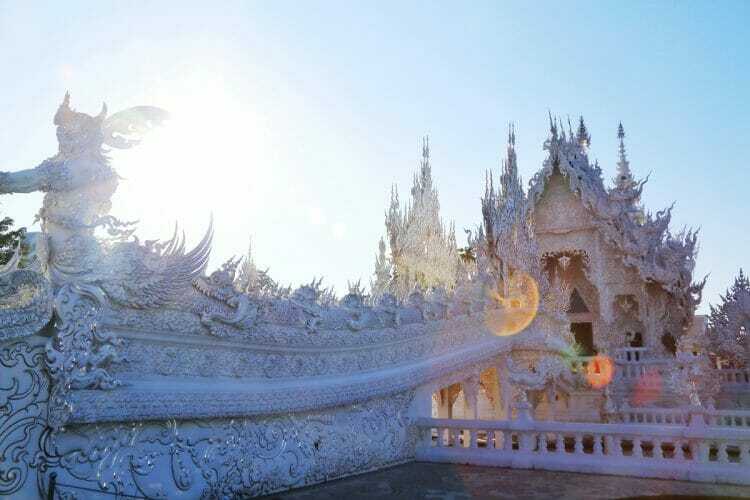 Consider checking out Chiang Rai. Traveling to Singapore? 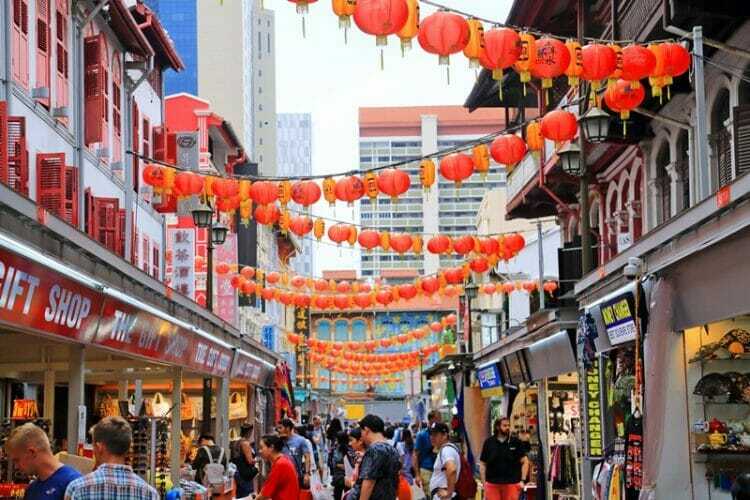 Make sure you explore the local neighborhood of Katong. Thinking of checking out Kuala Lumpur? What about Sarawak or Melaka? 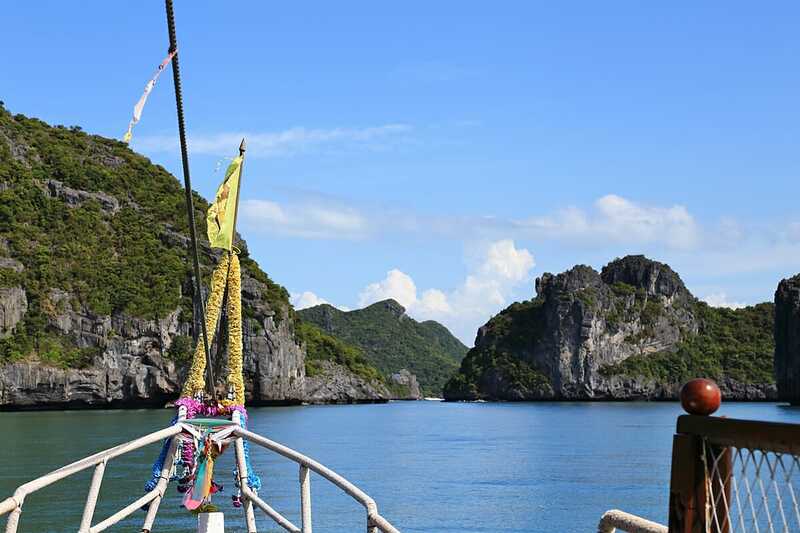 If you’re headed to Vietnam consider visiting Lan Ha Bay over Halong Bay. 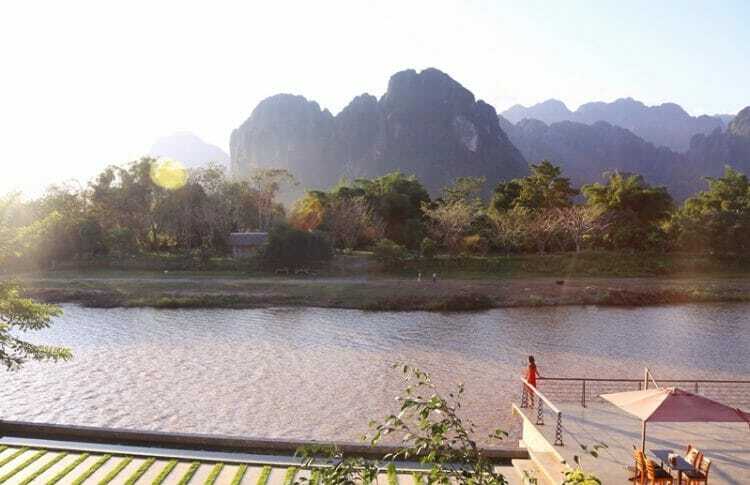 Laos in and of itself is an extremely underrated Southeast Asian country – it is considered an “add-on” destination more than 70% of the time which means that most visitors head to another country first and simply tack on a trip to Laos to their itinerary. Love diving? Brunei is not often associating with world-class diving but is actually home to some of the most incredible reefs and wrecks that are accessible year-round. 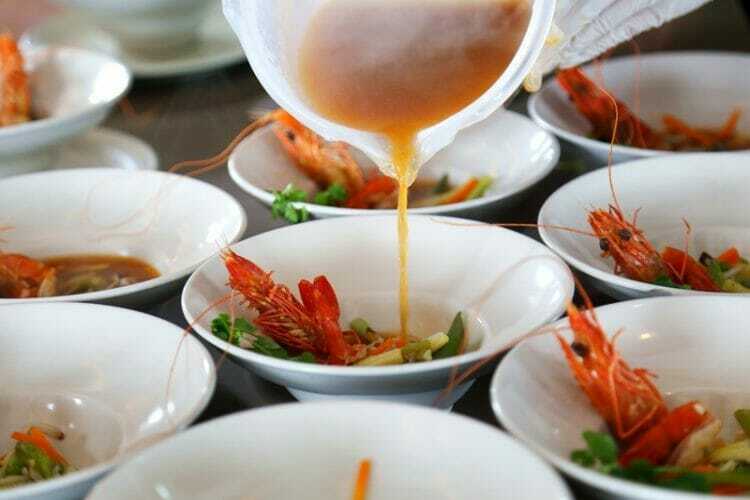 Southeast Asian cuisine is diverse, mouthwatering and addictive. 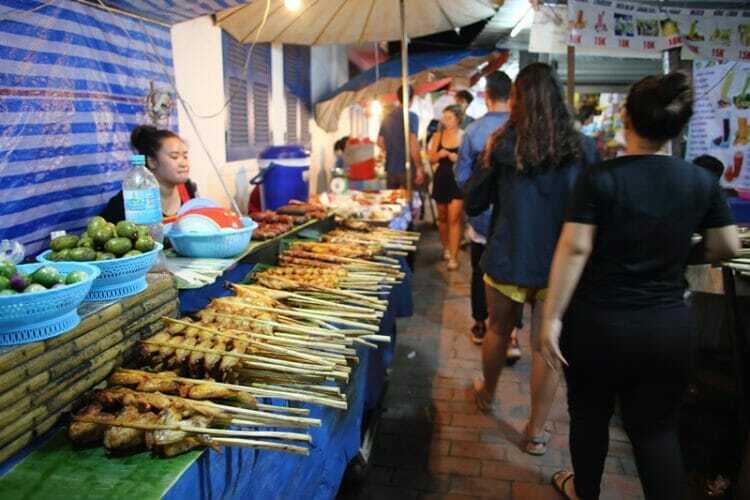 It’s also reasonably priced, and you can easily gorge on delectable street food night after night, or dining in some of the world’s best Michelin-starred restaurants. 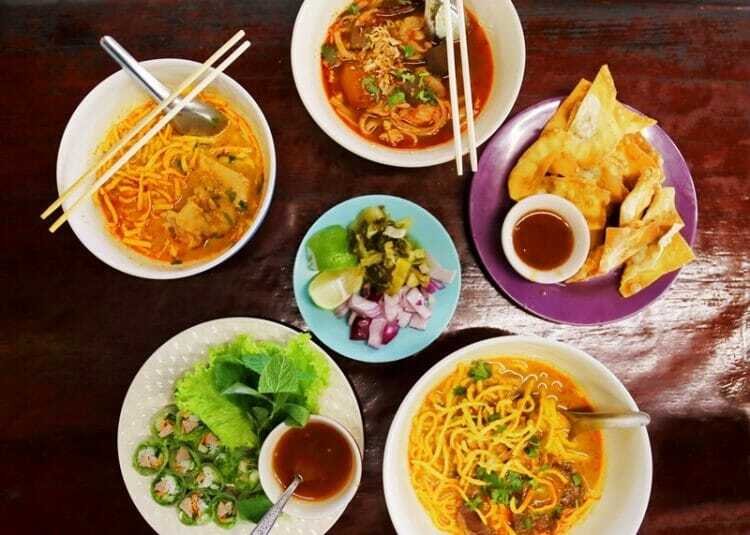 Don’t just stick to pad thai in Thailand and make sure you try khao soi in the north, stuff your face with coconut rice pancakes, slurp up all the pho and immerse yourself in the fun outdoor dining experience at night markets throughout Laos, Thailand, Cambodia, Vietnam and Singapore. Go where the locals go and don’t be afraid to try new food! That being said, you might want to stick to cooked food, especially if you are eating at an outdoor food market or stall, and avoid drinking water straight from the tap. If you’re ordering a fruit juice and aren’t 100% sure about the hygiene standards, ask for juice without ice. While Southeast Asia is commonly associated with backpacking because you can stretch the dollar and get bang for your buck, there are plenty of mid-to luxury options for travelers looking for a more high-end experience. While it’s true that the cost of travel in Southeast Asia tends to be lower than countries in Europe or Australia, some of the world’s best luxury and boutique hotels are located in Southeast Asia including Alila, Anantara, Shangri-La, Aman, Dusit, Four Seasons, Banyan Tree and Six Senses just to name a few. The Southeast Asian region is home to some of the world’s greatest ancient empires and has more than 30 UNESCO-listed World Heritage Sites including Angkor in Cambodia, Komodo National Park in Indonesia, Luang Prabang in Laos, Melaka in Malaysia, Vigan in the Philippines, the Botanic Gardens in Singapore, Ayutthaya in Thailand, and Hoi An’s ancient town in Vietnam. Each country is vastly different in terms of language, culture, food and traditions, so you can expect an explosion of experiences across the region. 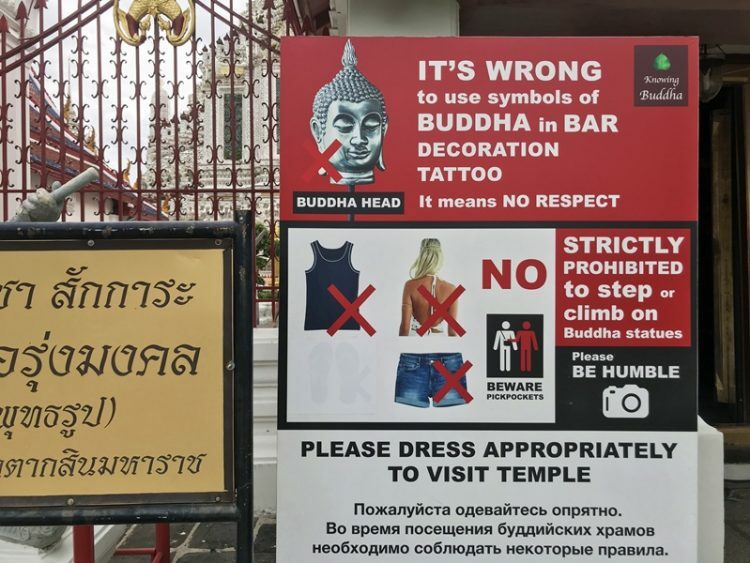 That being said, it is extremely important to respect local culture and religions in this area, and brush up on your knowledge of do’s and don’ts in Southeast Asia. 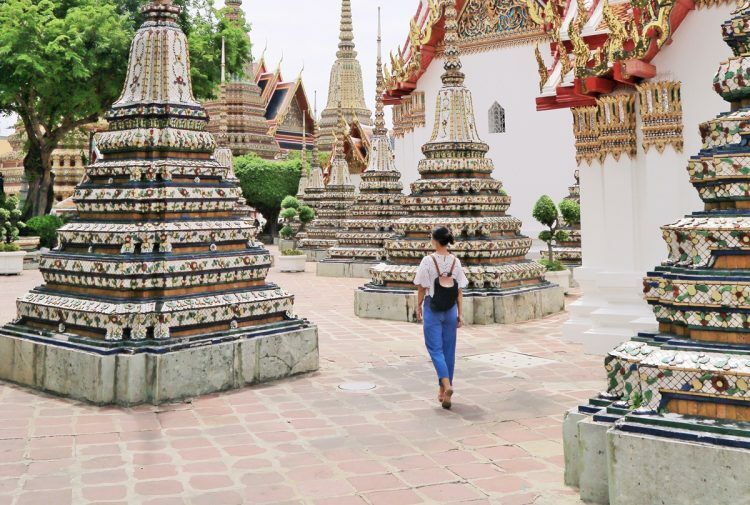 Here are some important travel tips for Southeast Asia: you should never touch a Thai person’s head, dress appropriately when visiting Buddhist temples, don’t drink at any religious sites, and be mindful about attending alms giving ceremonies just to name a few. 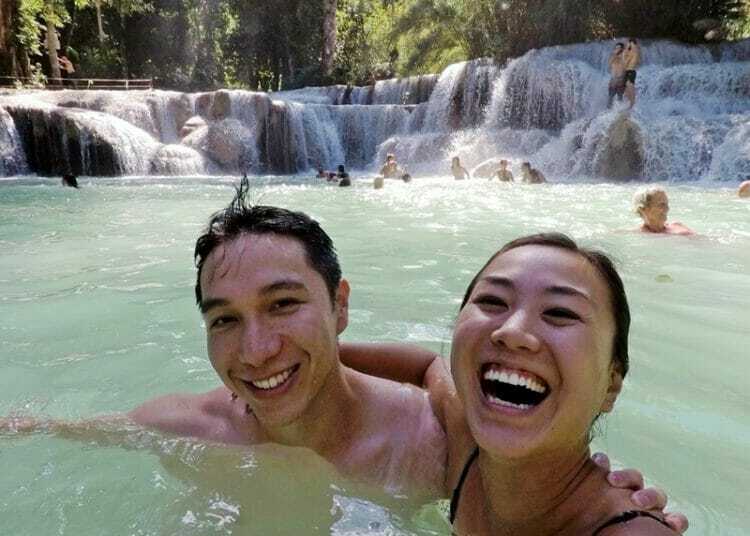 Southeast Asia is generally a very safe place for travelers, but have your wits about you just as you would in any other destination around the world. 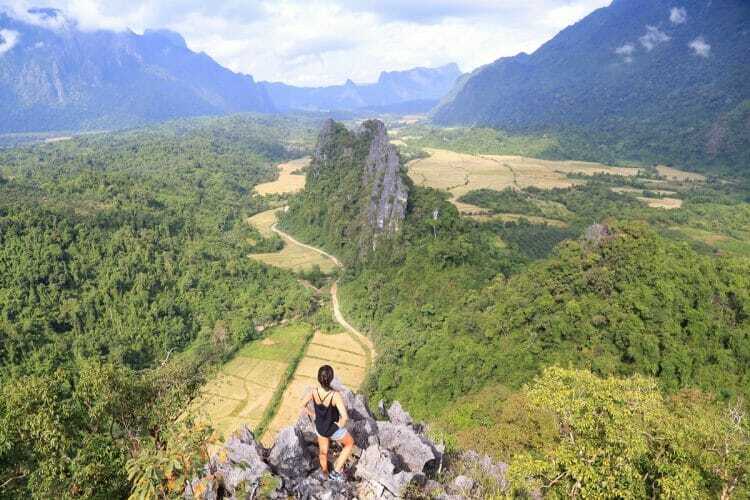 Personally, I would recommend solo female travel in Southeast Asia provided that you plan ahead and take the necessary precautions – I have experienced some of the most incredible hospitality in Southeast Asia, and I find the vast majority of people in Southeast Asian countries to be warm, friendly and eager to help. However, there are common scams in each country that you want to be cautious of, and in many Southeast Asian countries, including Singapore, Malaysia, Thailand, Indonesia and Vietnam, the penalties for drug offences are severe and can include the death penalty. Parts of the region also experience earthquakes, storms, and even volcanic eruptions. Most Southeast Asian countries have dedicated “tourist police” offices – make sure you have the relevant phone numbers and addresses ahead of your trip just to be safe. 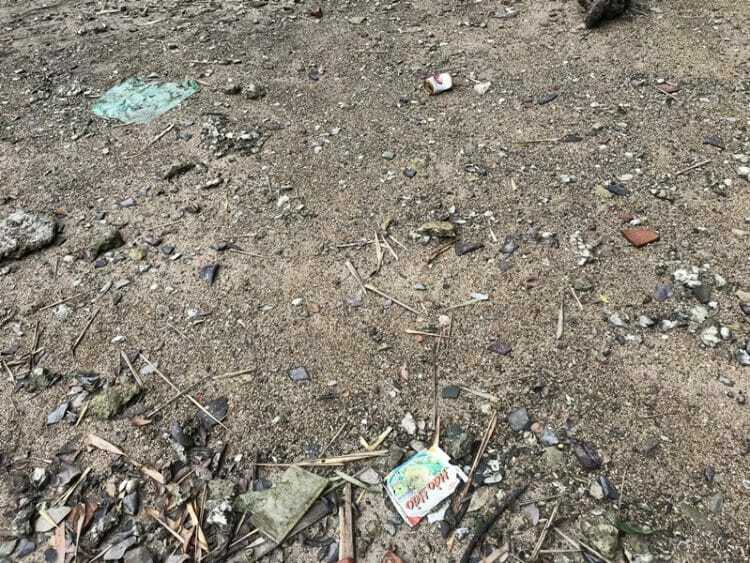 Unfortunately, the Southeast Asian region has an obsession with single-use plastics and many member countries are the worst countries in the world when it comes to plastic use and mismanaged waste. 5 Asian countries (4 of which are in Southeast Asia) – China, Indonesia, the Philippines, Vietnam and Thailand – accounted for up to 60 percent of the plastic waste leaking into the ocean, according to a 2015 report by the environmental campaigner Ocean Conservancy and the McKinsey Center for Business and Environment. For that reason, it is important to come prepared – one of my top Southeast Asia travel tips is to bring your own reusable water bottle and canvas shopping bags. You should also choose eco-friendly accommodation, take recyclable plastic back to your country, take shorter showers and so on. The good news is, many of the Southeast Asian countries are taking steps to reduce plastic usage. For example, the Thai tourism authority is partnering with the Thai Hotels Association to reduce single use plastic through reducing plastic packaging used for bathroom amenities, reducing the use of plastic bags in hotel rooms, using local products made with biodegradable packaging materials, reducing the use of plastic water bottles and straws and so on. This deserves its own section, because unfortunately some Southeast Asian countries are severely lagging behind when it comes to ethical animal experiences and interactions. The truth is, many of the animal experiences like petting drugged up tigers and watching elephants “play soccer” only exist because tourists continue to choose to partake in it – whether it is out of a lack of awareness or sheer willful ignorance. It is time to put a stop to harming animals for our own enjoyment and entertainment. We have to do better, and that starts by opting out of these cruel and unethical animal experiences. Do your research before you go and ride that elephant in Thailand or watch crocodile wrestling in Malaysia. The Southeast Asian region is home to so many beautiful creatures and places where you can either visit rescued animals, or simply observe them in the wild. Do that instead and it will be 10,000 times more rewarding, I promise. Another important Southeast Asia travel tip is to make sure you dig deep and do your research, because many places have caught onto the “trend” of ethical tourism and simply stick “sanctuary” or “orphanage” in their name in an attempt to market themselves as such. 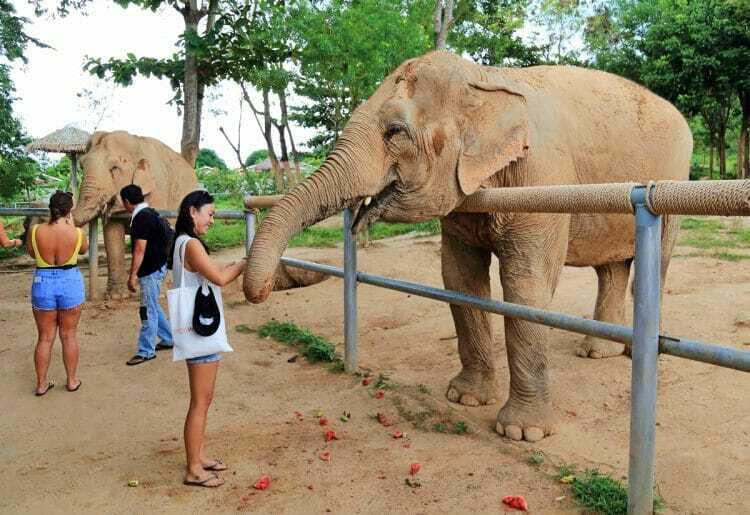 In reality, they still offer elephant rides, encourage non-natural behaviour and chain up their animals when tourists aren’t looking. While I’m at it, it’s also important to choose local tour operators and not partake in unethical experiences like orphanage tours or “human zoo” tours. 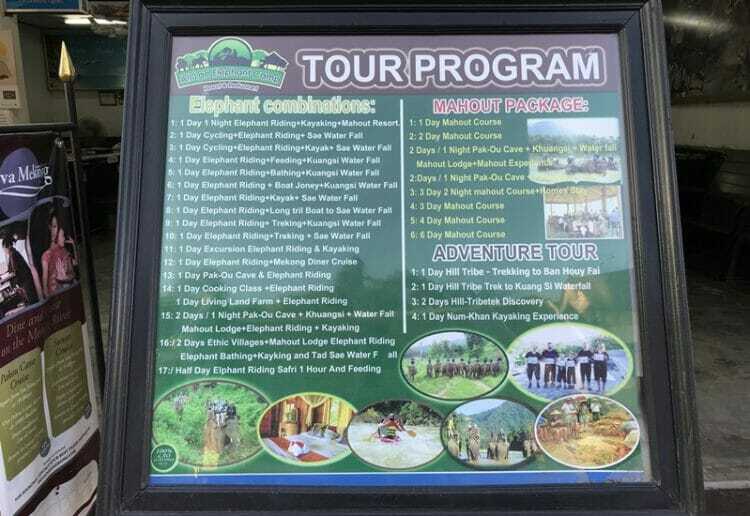 If you are interested in responsible travel in the region, you can also check out the “Experience Mekong Collection” which showcases responsible and sustainable travel experiences in the Greater Mekong Subregion including the Elephant Conservation Center in Laos, the STREETS International social enterprise initiative in Vietnam, the Phare Cambodia Circus in Cambodia and so on. 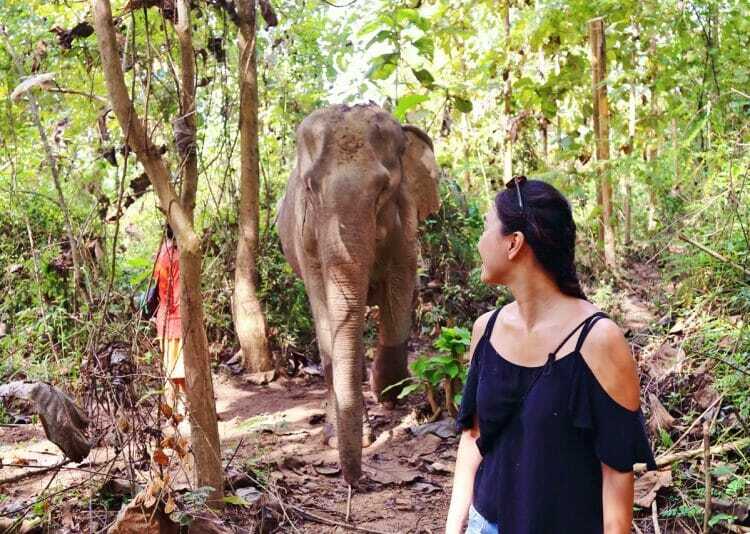 TakeMeTour is another great travel website that offers a number of experiential tours with locals in Thailand, Vietnam, Cambodia and the Philippines. Looking for ethical animal experiences around the world? 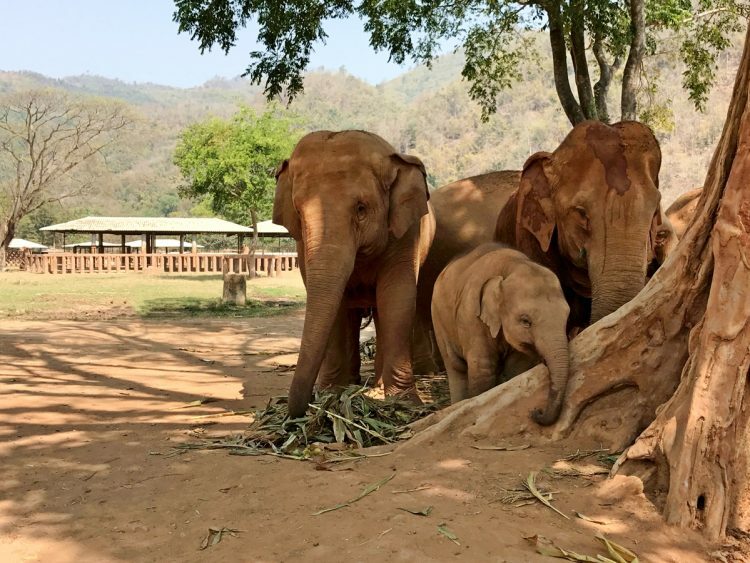 Check out this article, read more about visiting rescued elephants at Elephant Nature Park in Chiang Mai, or head on over here to read about walking with elephants at MandaLao in Luang Prabang. There are a number of unique travel logistics “quirks” that you should be prepared for in Southeast Asia, beyond the big-picture things I’ve listed above. 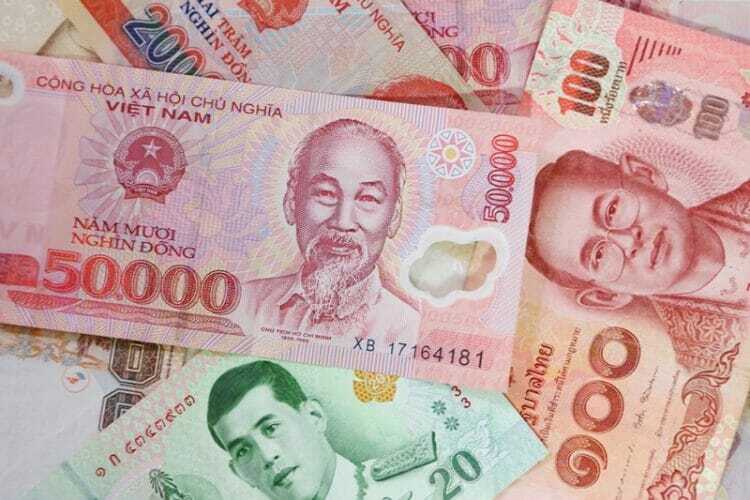 For example, cash is king in Southeast Asia and each country has its own currency with a vastly different exchange rate. You will not be able to use Vietnamese Dong in Malaysia, and you will not be able to use Malaysian Ringgit in the Philippines. Often, you will need to exchange currency at the airport or withdraw some from a local ATM. Most places will happily accept crisp US Dollar notes or Euros. You’ll also want to sort out your airport transfers in advance so you don’t end up wandering around at the airport trying to find a taxi or bus. 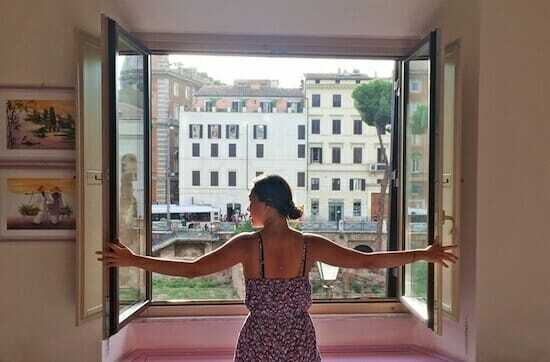 One of my top Southeast Asia travel tips is to use Klook. 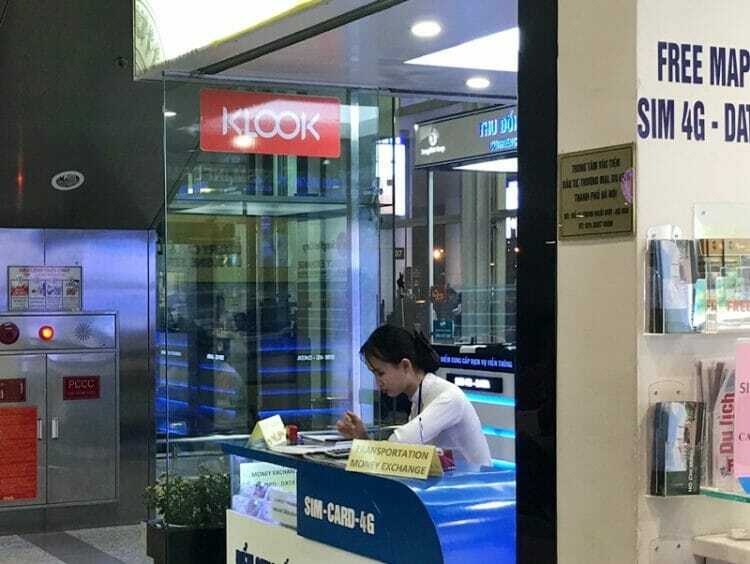 Klook is a great website where you can pre-book a variety of services in Southeast Asia, from airport transfers and tours to local SIM cards, often at a major discount. Click here to read more about how to use Klook. You should also download GrabTaxi in advance as it is a commonly used taxi hailing and ride share app in Southeast Asia (instead of Uber). 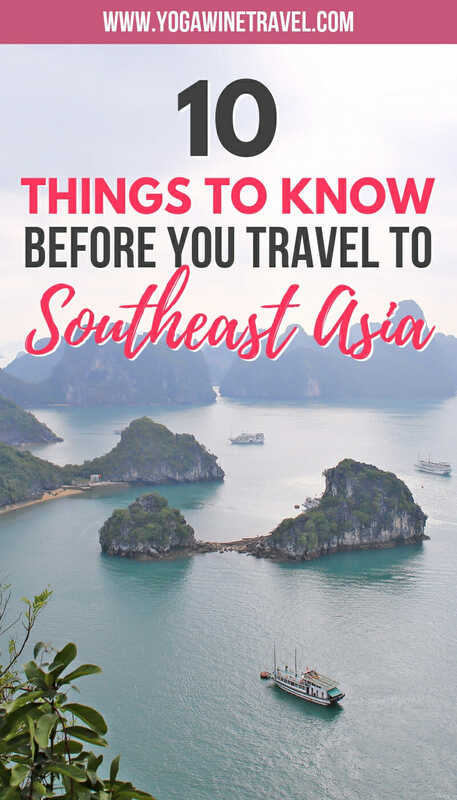 If it’s your first time to Southeast Asia, make sure you pack clothes that cover your shoulders and knees, a universal travel adapter, hand sanitizer and wet wipes, a light jacket, sun screen (reef-safe if possible) and tampons as they’re not always the easiest to come by. If you are visiting during the peak travel months (October to March for most countries) make sure you book your accommodation in advance. You may need vaccinations ahead of your trip – check with your GP. Once you are in the region, pharmacies are aplenty and you can walk-in to many hospitals in major cities for last-minute appointments and emergency treatment. Interested in reading more about tourism in Southeast Asia and ASEAN? Click here for the ASEAN Tourism Strategic Plan 2016-2025 and here for the ASEAN Tourism Marketing Strategy 2017-2020. 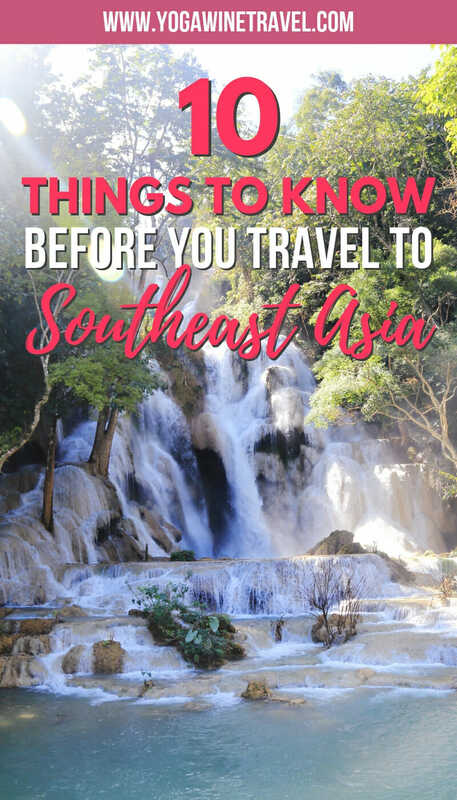 I hope this big-picture guide to Southeast Asia helped to reveal more about the region, and that it inspires you to see more of this incredible part of the world! 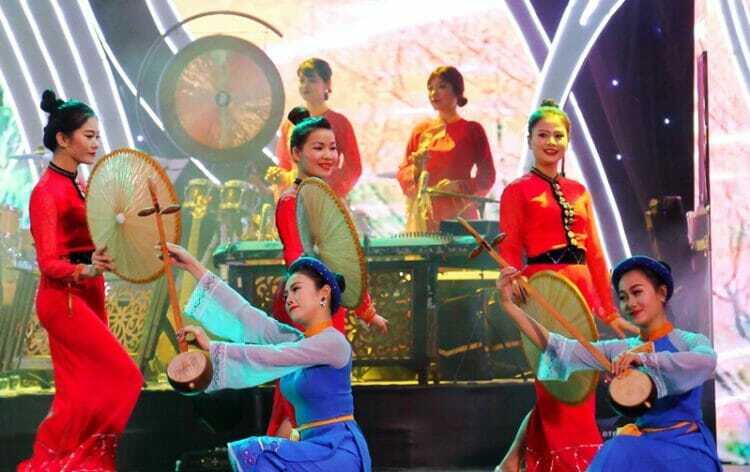 I was hosted by the Tourism Authority of Vietnam and ASEAN to participate in the ASEAN Tourism Forum in Halong City. However, no compensation was received for this article, and as always, the opinions on Yogawinetravel.com are (and always will be) my own! I only recommend products, services and hotels that I have had positive personal experiences with.